It’s been a busy week here at Cooper Towers. 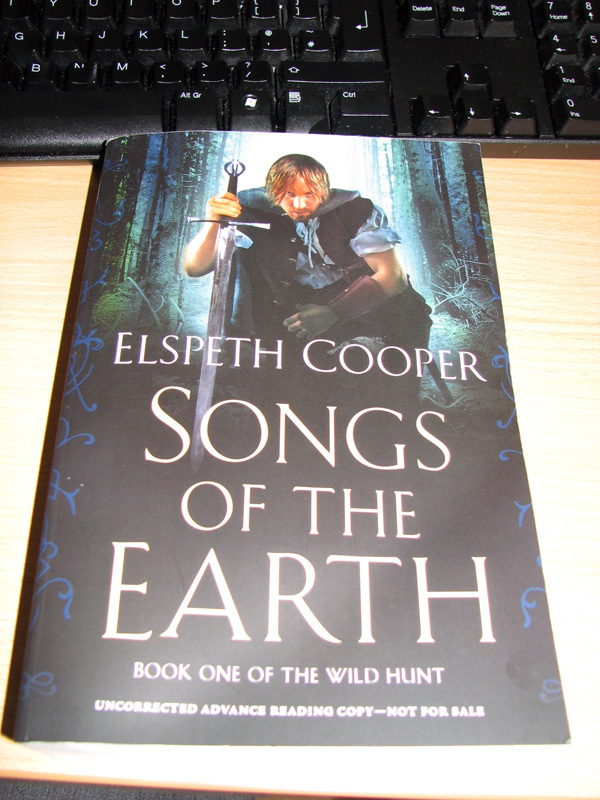 A few days ago, the UPS man brought me a parcel all the way from New York – ARCs of the Tor release of Songs of the Earth, which is due out in February 2012. If you are desperate to get your hands on a copy (which you are, aren’t you?) 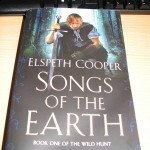 you will no doubt be pleased to hear that the hardcover is available to pre-order now on Amazon.com. You lucky, lucky people. And as if that wasn’t enough awesome . . . 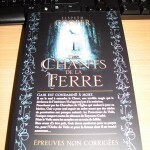 Yesterday, our postie-in-a-van brought me another parcel, this time from la belle France: an ARC of Les Chants de la Terre, Tome 1 de La Chasse Sauvage (bet you can’t work out what that means) which Bragelonne will be releasing into the wild on 18 November 2011. 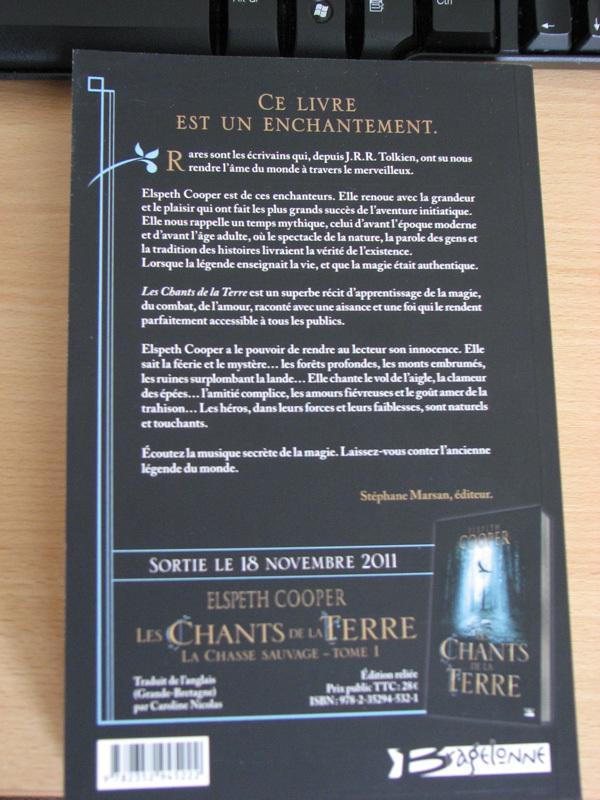 Look closely, and you can even see what the French cover will look like. 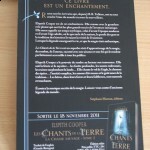 I’m not sure that my schoolgirl French, largely unused these past twenty seven-anna-bit years, is up to the task of translating what the lovely Stéphane Marsan of Bragelonne has written on the back, but I think I can manage Ce livre est un enchantement. 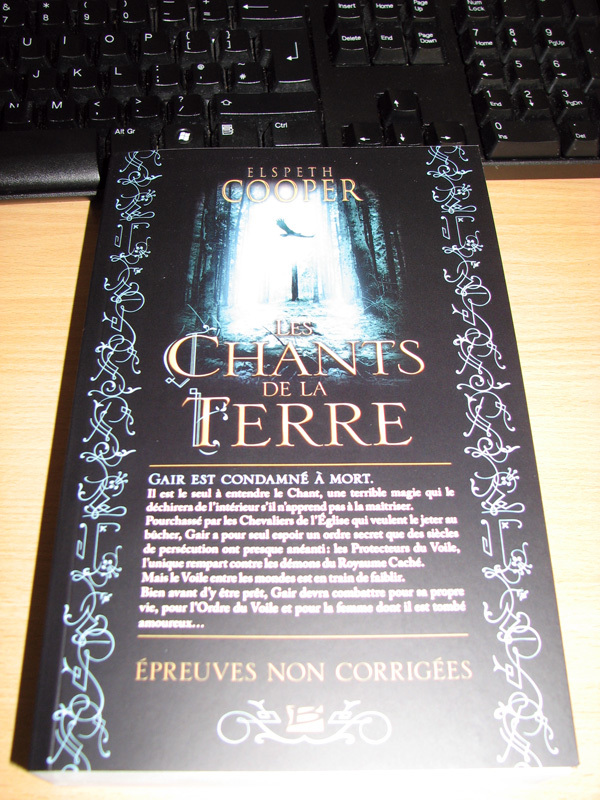 Or maybe that should read: c’est formidable! To celebrate the launch of my book, Orion are giving away five advance proofs to you lucky, lucky people. All you have to do is answer a really simple question, and your name goes into the draw. Go here – you have until 20th May 2011 – and good luck! Go on. Click that play button, you know you wanna.